Happy Tuesday! Did you survive Cyber Monday? I hope so! 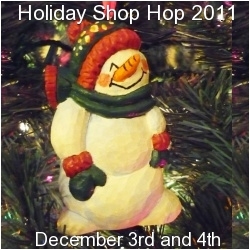 I also hope you're ready for more fun and great deals this weekend as I host the Holiday Shop Hop 2011 this Saturday and Sunday, December 3rd and 4th, right here on my blog. 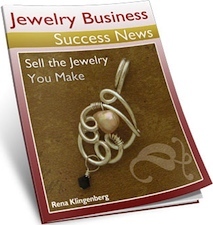 A big shout out to Rena Klingenberg for so graciously mentioning the Holiday Shop Hop in the "Neat Jewelry Website" section of her Jewelry Business Success Newsletter that's out today! Thanks so much Rena!! There will be some great shops/blogs filled with handmade items and creative art for you to browse through at your leisure during the Holiday Shop Hop and up there on the top of my blog, where all the links are,...well, the Holiday Shop Hop button will have the list of all the shops/blogs that will be participating this weekend and it will have all those links for you to click away at from this weekend on through until at least January 15th, 2012. This way everyone who's on Winter Break can enjoy shopping great handmade items even after the Gift Giving Holiday's are over! Now, on to some other things today. I don't know if you know this about me but I LOVE making earrings. Yes, I know you know that I love to make jewelry but Earrings are, by far, my FAVORITE to design and create! But anyway, my point is here is this,....I love to make handcrafted earring wires and several of my jewelry friends (and all of my clients) told me how much they LOVED my earring wires, so I started making them for other designers and opened another Etsy shop last year called Shel's Jewelry Supplies. It's been going quite well, so much so that I actually blew out my poor elbow in February of this year and had to stop production for quite a while. Well, silly me, with the Holiday Shop Hop coming up, I've been less than productive in the 'supplies' category and have basicially, completely 'SOLD OUT' of my earring wires on my Etsy Site! (Bad, bad Girl!) So, I'm kicking myself in the booty and I'm gonna try to get a few things listed and back up. 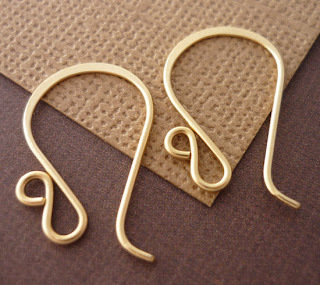 There's the neatest blog out there that's dedicated to Earrings! How cool is this?! I mean, really - I'm in heaven! The brainchild of Heather Powers . 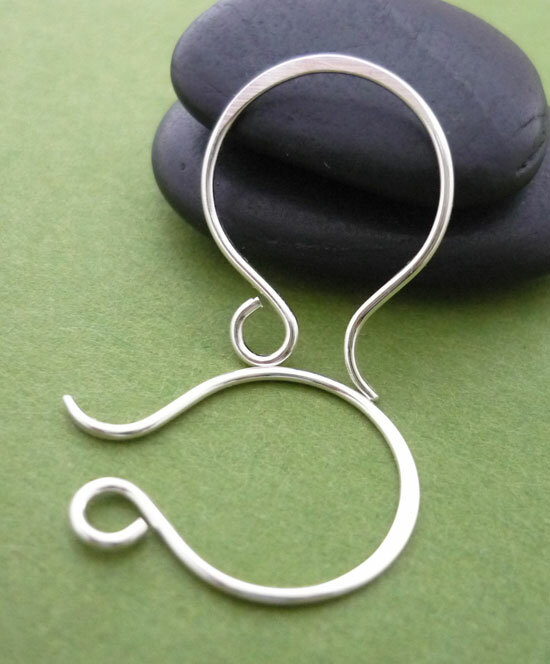 She, and some other very creative designers who are contributors, have this wonderful site with some awesome designs, so if you're as crazy about earrings as I am - you gotta go check this out. It's called Earrings Everyday - Inspiration and Adoration (Yes, that's what I'm talking about!) It's got tons of inspiration and places to get fabulous beads and fun items for your earrings too - you'll definitely want to check this out! 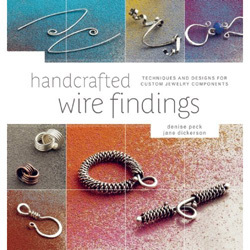 And, another favorite of mine, is the book Handcrafted Wire Findings, techniques and designs for custom jewelry components by Denise Peck and Jane Dickerson. 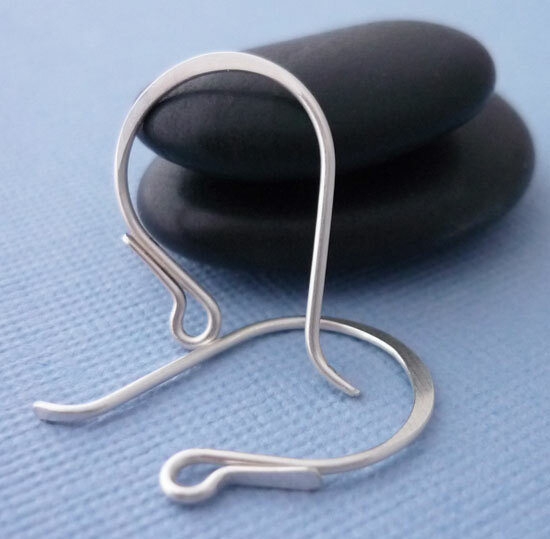 Oh,...this is loaded with all kinds of wire findings you can make yourself and that will have your jewelry designs popping with personality (way more personality than mass produced findings if you ask me!) . Anyway, one of the earring designs they have published in this book, on page 21 to be exact, is their pair of "flattened ear wires". I Love Them!! And, they're very similar to my "Signature" pair of earring wires that I've been making for over 15 years now (that my metalsmith teacher, Carol, told me were fabulous, by the way!) and so you just have to check out this book, if you haven't already done so, because the findings you will learn to create and be able to expand upon are wonderful! It just gets your creative juices flowing and your mind racing! Well, it did mine, anyway, and so I just had to share it with you! So, as you're preparing your handcrafted items for sale this season (and any season for that matter) check out these two very lovely voices of inspiration and education! And, don't forget to hop back on over here this weekend and check out all the really cool handmade shops that will be featured on the Holiday Shop Hop. There's handmade toys, soaps, candles, scarves and jewelry and jewelry related items, of course! Yummy, Yummy! Peace, Love and Living Creatively! Your earwires are lovely! They really dress up a pair of earrings. How do you get the ends so smooth so that they don't scratch people? A regular jewelry file? Sand paper? Both? 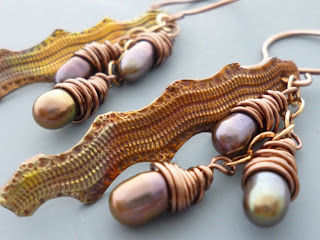 Is it ok if I put a picture of your earwires on my blog with a link to your store? Thanks for the compliments on the earring wires! I smooth my edges by hammering them slightly and then filing them with - are you ready - a metal nail file! I know,...not the proper metalsmith sort of thing, but these work best for me with my earring wires and they're small too, which makes them even more convenient. I do have a small metals file that I have used as well, but the little metal nail files (walgreens, etc.) are my preferred tool of choice for these. And, then I tumble them and that smooths them out a bit more, too. Thanks for asking - I love sharing techniques like this! Your earrings are beautiful. I really love the nuggets. 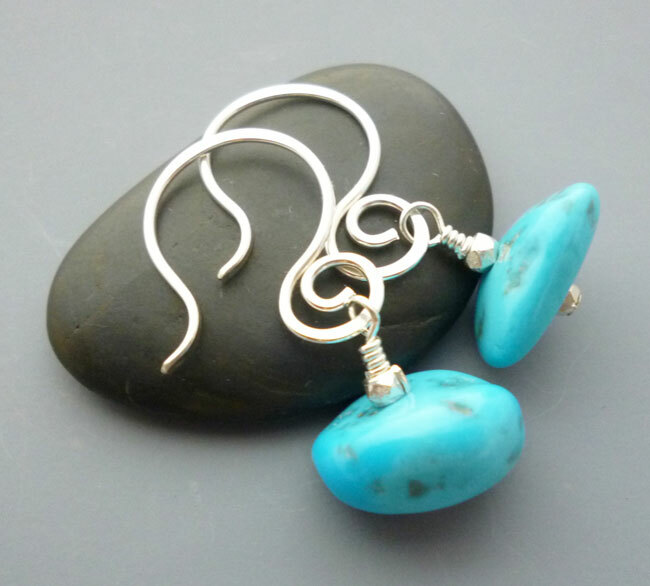 The snakeskin earrings are really lovely and unusual. Very nice work.